God often speaks to us and through us to others. 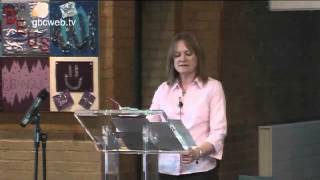 Here are some short videos telling us what God said to Greenford Baptist Church. 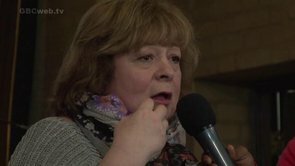 Liz Robertson brings an encouraging prophetic message from God to those who feel rejected. Although this was filmed on 29 May 2011, might God have this same message for YOU today? Read more: Do you feel rejected? Carole brings a word from God encouraging us to look at making fasting part of our normal church practice. Liz Robertson is a member of Greenford Baptist Church's Leadership Team. She is gifted in the prophetic ministry and brings this message from God, "Don't put up with it!" Read more: Don't put up with it!